Are you game for an adventure? You can go on one without even leaving your seat with the best bloggers who write about their travel adventures. The writers of adventure travel blogs are not the type to let fear or the unknown hold them down. Give them the promise of a zip line over staggering heights or a simple backpack and a plane ticket, and they are on their way. Fans of adventure travel blogs can follow them virtually from the comfort of their smartphones as well as be inspired to set off and follow in the footsteps of their favorite blogger. 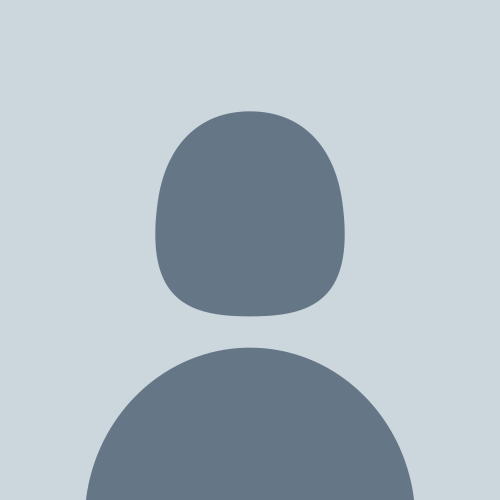 But which blog is worth following when so many exist? It was an adventure in itself to gather the best of the best, as so many adventure travel bloggers are out there sharing their photos and tales of amazing trips. 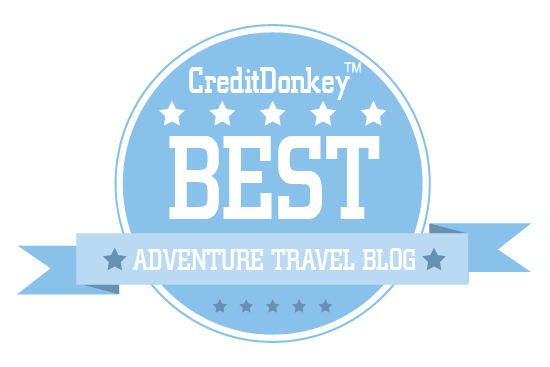 CreditDonkey, the travel credit card comparison website, culled the list to bring you only the best adventure travel blogs you need to follow. Many of the blogs listed below share their itineraries so you can relive their once-in-a-lifetime moments or make their adventures your own. The ones we've chosen include part-time travelers as well as well-worn adventurers who have never looked back. Read on to learn about new cultures, other countries and ideas for avoiding obvious tourist traps during your next big adventure. Best-selling author and traveler Matt has been around the world and done just about everything; his blog is full of stories and tips. Why Nomadic Matt is a Top Adventure Travel Blog: Get inspiration for your next trip and tips to help all steps of the planning go smoothly. Dave and Deb are out to prove that adventure is for everyone - whether you are an adrenaline junkie or completely unathletic - through stories and inspirational tips. Why The Planet D is a Top Adventure Travel Blog: Accessible tips that can turn anyone into an adventure traveler. Travel Photographer of the Year Gary Arndt has visited 180 countries in the last decade and now shares amazing photos of far-off places around the world. Why Everything Everywhere is a Top Adventure Travel Blog: Get inspired to adventure with Gary's beautiful photos of unique destinations. Matt has been exploring and photographing the world for five years, and he shares his stories to inspire others to live a life of adventure. Why Expert Vagabond is a Top Adventure Travel Blog: From helicopters to farmland, Matt explores it all and see things in unique ways. If there's an adventure available, Kate will go for it. Her adventurous spirit has taken her to amazing places around the world, which she shares on her blog. Why Adventurous Kate is a Top Adventure Travel Blog: Kate shows readers that anyone can travel the world, regardless of budget, gender, or fears. Dan and Audrey are full-time adventurers who use their sense of curiosity and social responsibility to experience cultures and places. Why Uncornered Market is a Top Adventure Travel Blog: Amazing stories about worldwide travel and how to get the most from your experiences. 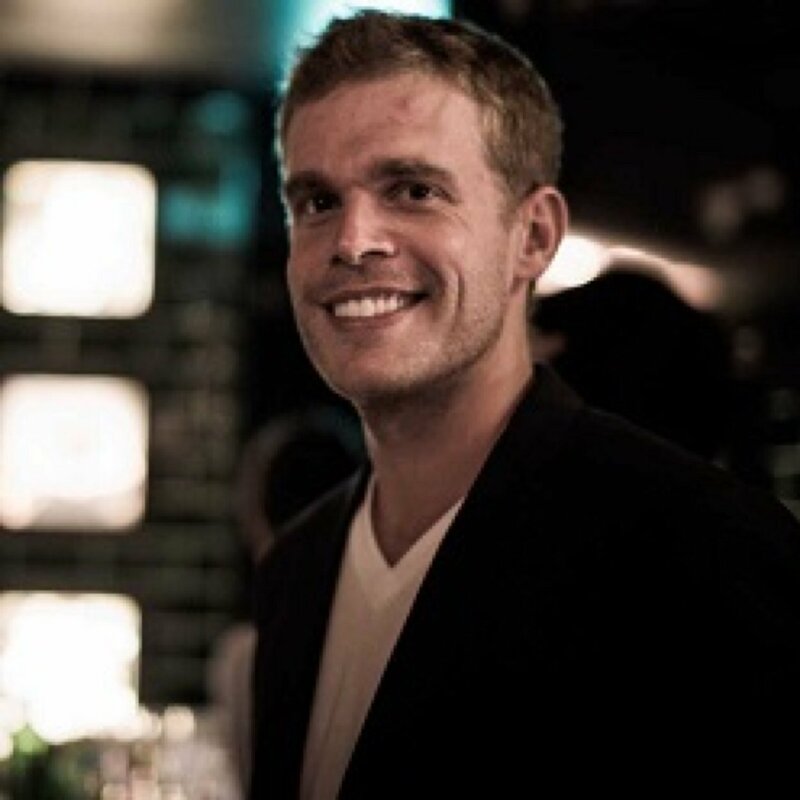 Michael is a lawyer who took off to circumnavigate the world and never looked back; his blog features reviews, tips, and travel guides for locations around the world. Why Go, See, Write is a Top Adventure Travel Blog: Detailed tips and itineraries make this blog a great read for travelers heading most places in the world. Speaker, blogger, and author Alastair Humphreys is a National Geographic Adventurer of the Year who travels the world looking for his next thrill. 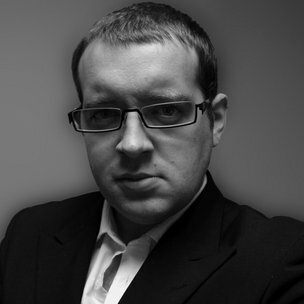 His blog features adventure stories and advice. Why Alastair Humphreys is a Top Adventure Travel Blog: With great tips and stories, Alastair motivates readers to travel the world for an adventure. Laurel is a mountain lover who looks for more meaningful ways to travel. Her outdoor and cultural adventures during the day make way for luxury at night. Why Monkeys and Mountains is a Top Adventure Travel Blog: Laurel writes about how to make adventures more meaningful and how to experience the world with a social conscience. Raymond writes about escapism and adding adventure to your life, no matter if you are a full-time traveler or just someone looking for excitement. Why Man on the Lam is a Top Adventure Travel Blog: A great resource for finding adventure around the world or right in your backyard. David and Veronica started traveling full time after their kids were grown and gone. They've traveled the world in every way possible and show that you don't have to be young to have great adventures. Why The Gypsy Nesters is a Top Adventure Travel Blog: They highlight a variety of destinations and modes of travel for all kinds of active and cultural adventures. Audrey crisscrosses the world trying to fulfill her permanent wanderlust. 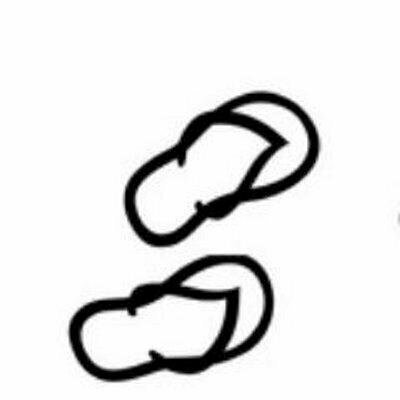 She immerses herself in culture and documents it on her blog and in her videos. Why That Backpacker is a Top Adventure Travel Blog: Audrey visits places many tourists don't go, and she shares them with beautiful pictures and words. As a travel photographer, Brendan van Son has opportunities to traverse the globe, take beautiful pictures, and have some epic adventures, which he shares on his blog. Why Brendan's Adventures is a Top Adventure Travel Blog: Beautiful pictures, cultural descriptions, and fun adventure stories make this blog a great read. Currently hiking sections of the Appalachian Trail, Philip has also hiked around the U.S. and the world. 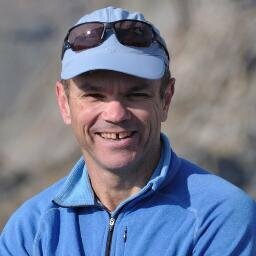 His blog provides guidance for hikers at all levels. Why Section Hiker is a Top Adventure Travel Blog: Reviews, gear advice, and general tips for all sorts of trails. Mike and Keryn were travel junkies before they had kids, but now they're out to prove that being parents doesn't have to get in the way of amazing travel adventures. Why Walking On Travels is a Top Adventure Travel Blog: From adventure treks to travel tips, this blog has everything you need for an amazing family adventure. UK duo Becky and Gray travel the world to find the most underrated and most beautiful places, which they share with stories and travel tips on their blog. Why Global Grasshopper is a Top Adventure Travel Blog: Get inspired to experience off-the-beaten path destinations around the world. 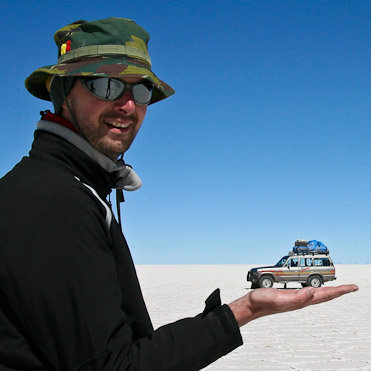 Alex travels full-time, fueled only adrenaline and often without an itinerary. Her zest for life has led to unique destinations and cultural and extreme adventures. Why Alex in Wanderland is a Top Adventure Travel Blog: From hiking amazing locations to cultural celebrations and festivals, Alex offers detailed stories and tips for everywhere she visits. With a goal to travel to all 195 countries by 2020, Norbert explores the world looking for adventure and new experiences. Why Globotreks is a Top Adventure Travel Blog: Inspiration and travel tips for destinations around the world, with a new section for family adventure travel. Nick and Dariece's passion for travel is fueled by their love of visiting off-beat locations; they aim to turn travel into a lifestyle and inspire others to adventure and do the same. Why Goats on the Road is a Top Adventure Travel Blog: Great pictures and videos from around the world highlight unique destinations and experiences. Matt Gibson loves outdoor adventures of any kind, but that doesn't mean he only lives for adrenaline - his travels feature a wide variety of cultural and adventure experiences. Why Xpat Matt is a Top Adventure Travel Blog: Beautiful pictures and amazing stories of adventures around the world, plus travel tips and inspiration. Hannah and Adam are on a mission to fill their passports. 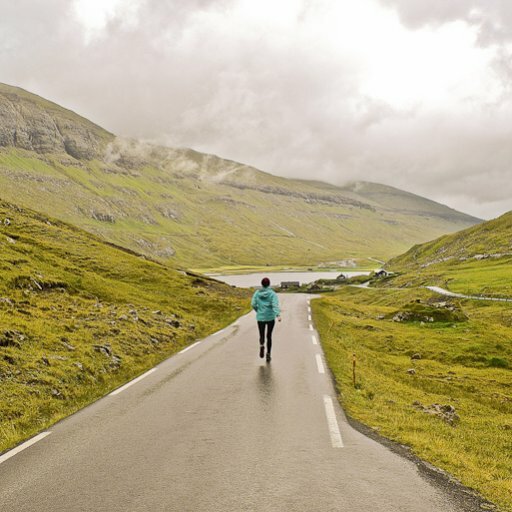 Having traveled to more than 60 countries in the last three years, they blog about unique and unknown destinations. Why Getting Stamped is a Top Adventure Travel Blog: The blog is full of amazing photography and travel guides to places you've probably never heard of. From rice fields to swimming with turtles, Sabrina experiences the world one adventure at a time and shares her colorful images and stories on her blog. Why Just One Way Ticket is a Top Adventure Travel Blog: Sabrina shares travel tips for domestic and international destinations as well as advice on how to travel long-term. Adrenaline junkies Mike and Megan have climbed mountains, biked, kayaked, and adventured around the world; their blog shares their stories and pictures. Why Mapping Megan is a Top Adventure Travel Blog: With a wide variety of adventures, locations, and detailed descriptions, it's easy to see why this blog has won lots of awards. Flashpacker Geert travels the world to experience the best that each destination has to offer and shares his crazy adventures. Why Inspiring Travellers is a Top Adventure Travel Blog: The blog aims to inspire others to find adventure through interviews, travel guides, and food reviews from destinations around the world. 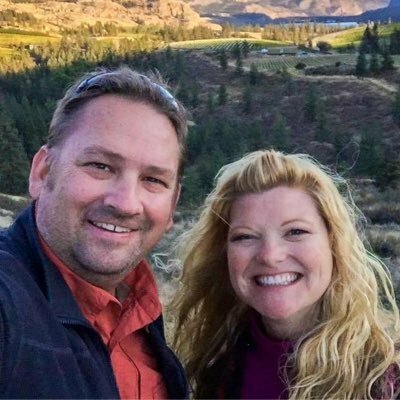 Jennifer and Tim love adventure and wine, so they combine the two: amazing adventures during the day and luxurious comfort at night, no matter where in the world they are. 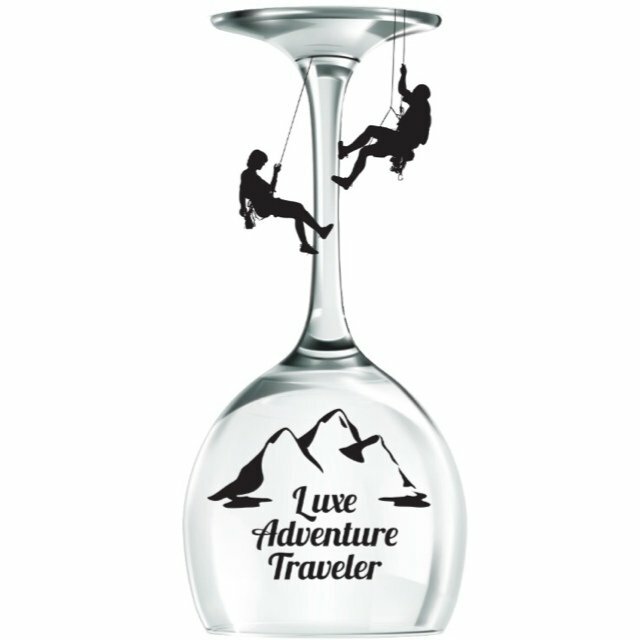 Why Luxe Adventure Traveler is a Top Adventure Travel Blog: Get inspiration with the best destinations and find out about amazing adventures around the world. Taking readers beyond the guidebook, Jessie showcases how to enrich your travel with unexpected adventures and local encounters. 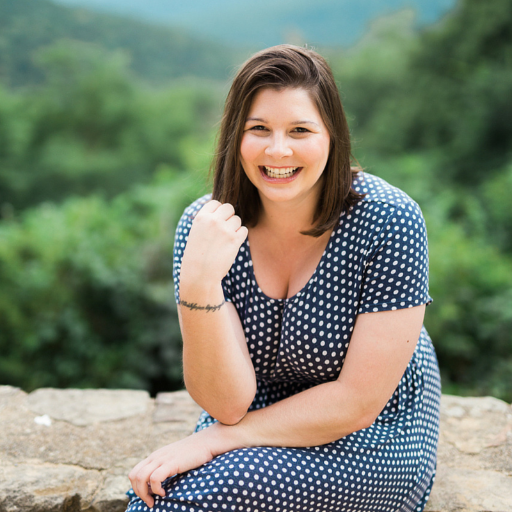 Why Jessie on a Journey is a Top Adventure Travel Blog: Jessie provides lots of travel tips and destination guides for unexpected and often overlooked locations. 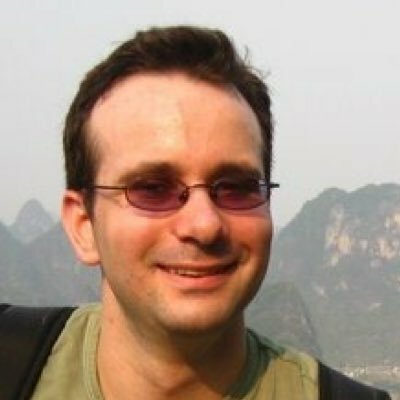 Full-time traveler Rob blogs in real-time as he travels the world searching for fulfilling adventures and unique experiences. Why Stop Having a Boring Life is a Top Adventure Travel Blog: Follow along as Rob travels the world, builds in the Caribbean and shares his experiences with you. Talon is a cyclist, endurance runner, snowshoer, and more who aims to share a love of travel and adventure with his teenage daughter as they explore the world together. 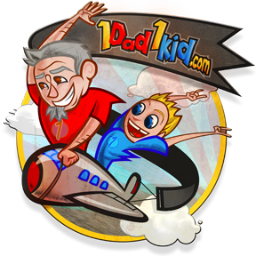 Why 1 Dad 1 Kid is a Top Adventure Travel Blog: Great inspiration and advice about seeking out adventures and soaking in culture with kids. 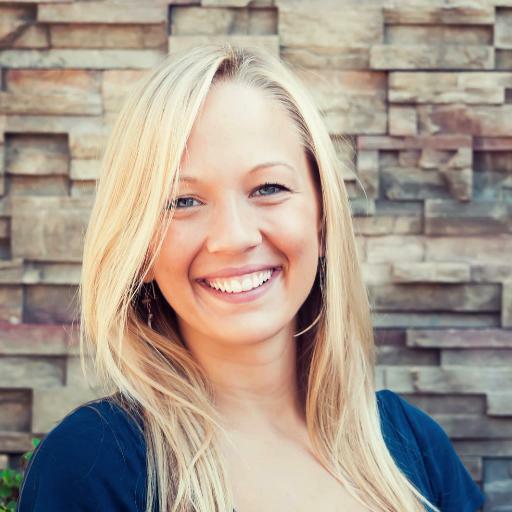 Becki has a passion for uncovering new cultures and deep meanings through her adventures. From backpacking to volunteering and going off the beaten path, Becki treks across borders to see the world. Why Borders of Adventure is a Top Adventure Travel Blog: Becki uses her adventures to change perceptions and travel with a social conscience. Pennsylvania native Edna took off at age 18 to work her way around the world and visits up to 20 countries every year, experiencing the culture and exploring everywhere she goes. Why Expat Edna is a Top Adventure Travel Blog: Edna shares tips on building an international career and how to work and travel abroad. Read: Why Is It Still OK to Be Racist Towards Asians? Paul Steele and friends blog about their personal travel experiences, outdoor adventures, and hikes around the world. Why Bald Hiker is a Top Adventure Travel Blog: From great trails to delicious meals, Paul's recommendations cover everything you need for a great trip. Debbie and David are a freelance writer and photographer couple who have traveled the world together. Their blog chronicles their amazing destinations and travel activities. Why Classe Touriste is a Top Adventure Travel Blog: Amazing pictures of unique destinations and adventures like urban skiing, safariing, and experiencing culture. A native to Europe, Hendrik travels around his region to show off the amazing hiking, biking, cycling, skiing, and other adventures it has to offer. Why Hiking in Finland is a Top Adventure Travel Blog: Great stories about adventures, plus in-depth, long-term gear reviews and tips for adventures throughout Europe. Jaime is in the middle of his second around-the-world trip, which is filled with backpacking misadventures and unique travel experiences. Why Breakaway Backpacker is a Top Adventure Travel Blog: An honest look at long-term travel and how to move past the typical experiences. Jacob and Esther move to a new city every year to experience everything it has to offer. They go on adventures like locals and blog about it. Why Local Adventurer is a Top Adventure Travel Blog: In-depth looks at various U.S. cities plus general travel and adventure tips. From snowboarding to rafting and road trips, Cole and Adela blog about their adventures around the world. Why Four Jandals is a Top Adventure Travel Blog: Get tips and resources to get outside your comfort zone and have the adventure of a lifetime. Tom is an adventure cyclist who first started his journey by cycling through parts of the Middle East. He also cycled the length of England with no money and a recycled bike. Why Tom's Bike Trip is a Top Adventure Travel Blog: Tom shares stories from the road and great tips for anyone planning a big cycling trip anywhere in the world. 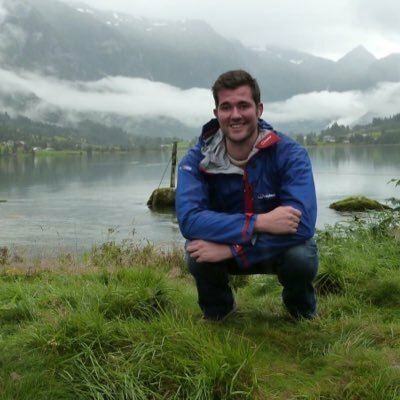 Northern Irish-born Jonny Blair blogs about his lifestyle of travel - he's always on the road meeting new people, working in new countries, and exploring the world in some crazy ways. Why Don't Stop Living is a Top Adventure Travel Blog: The blog claims to be the longest-running, one-man travel guide to all seven continents, showing Jonny's widespread destinations and experience with travel. 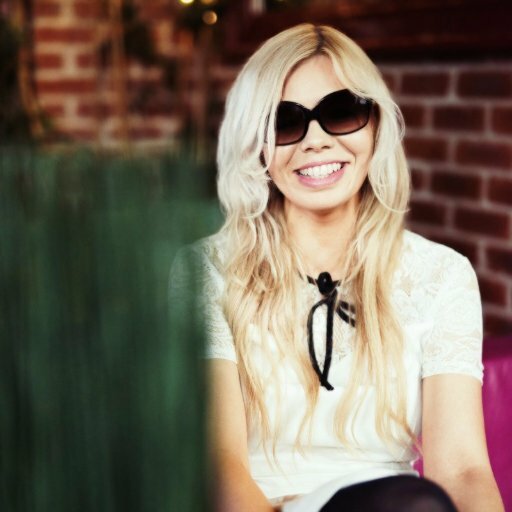 Marysia loves to see the world through culture, food, and adventure. With her, no trip is the same, as she sees the world through a unique lens. Why My Travel Affairs is a Top Adventure Travel Blog: Marysia uses the blog to showcase her beautiful travel photos and to give tips on destinations and unique travel experiences. Gareth quit his job and moved to Argentina to immerse himself in the culture. Everywhere he goes, he looks for local experiences and amazing adventures. Why Tourist 2 Townie is a Top Adventure Travel Blog: Gareth offers an in-depth look at places many people don't get to see and offers tips of how you can become a townie. Chanel is a cultural writer and has been traveling part-time for more than a decade. 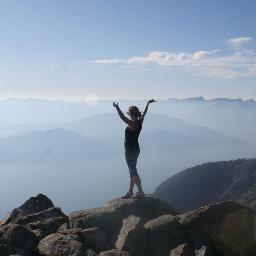 She has visited five continents and more than 30 countries; she blogs about her adventures experiencing new cultures. 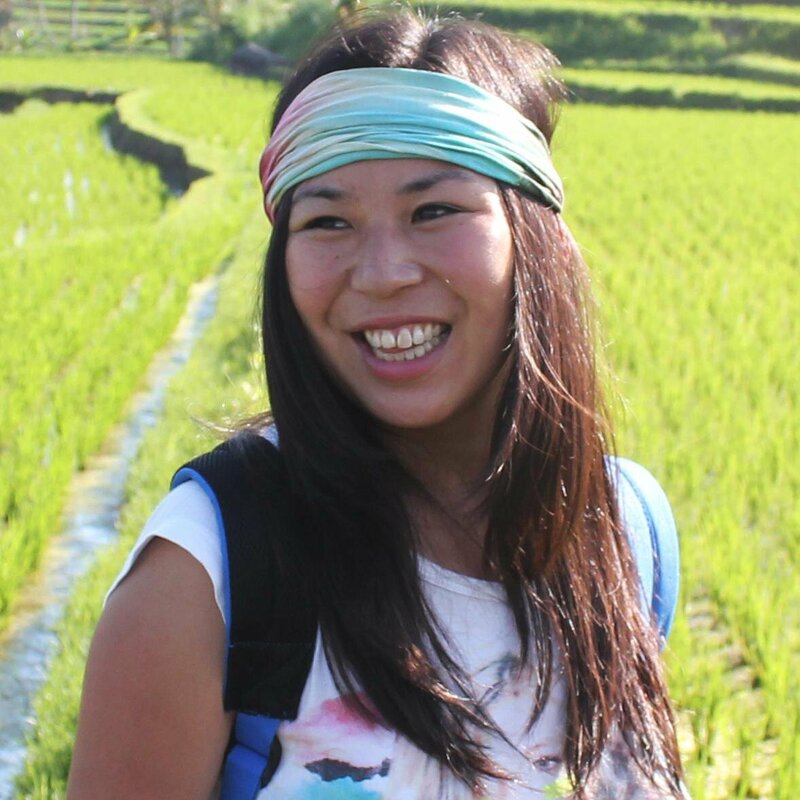 Why Cultural Xplorer is a Top Adventure Travel Blog: Chanel finds creative ways to experience culture through accommodations, food, and activities. Chris started travelling the world in 2010 and believes you don't have to quit your job to see the wonders of the world. His blog features short guides that allow you to see a city in 48 hours. Why 48 Hour Adventure is a Top Adventure Travel Blog: Chris's guides are perfect for weekend adventurers or people planning shorter excursions. 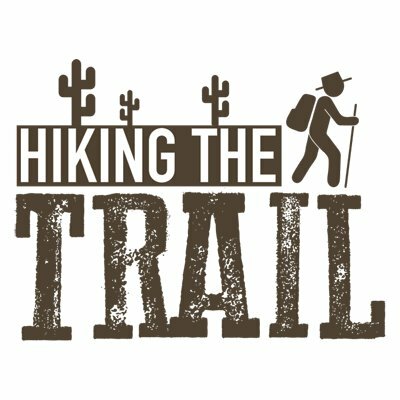 Written by a team of Appalachian Trail hikers, this blog features all sorts of hiking and outdoor adventure tips. Why Appalachian Trail is a Top Adventure Travel Blog: One of the best resources for the Appalachian Trail, much of what is on the blog can also be applied to other trails. Professional adventurer Will has some ambitious journeys, like his current quest to get from the UK to Papua New Guinea without flights. He shares tips and experiences from his years of travel. Why The Broke Backpacker is a Top Adventure Travel Blog: Even if you aren't as extreme as Will, his advice is useful for adventurers of all levels. Daredevil Iain Mallory uses adventurous quests around the world to cure his wanderlust - from avalanches to bungee jumping and diving, he's done it all. Why Mallory on Travel is a Top Adventure Travel Blog: Learn about adventures that aren't the typical daredevil pursuits, as well as commentary and tips for international travel. Always up for anything, Manouk loves to visit off-beat destinations for local experiences. She is currently on a long trip to Southern Africa. Why Bunch of Backpackers is a Top Adventure Travel Blog: Inspiration and trips for backpackers, no matter where in the world you are. Read: One Day in Luxembourg City itinerary: What to Do? Chris used travel as a way to battle clinical depression, and he has done some crazy things around the world. He lives by the motto to be brave, be reckless, and be happy. Why Aussie on the Road is a Top Adventure Travel Blog: Chris directs readers to off-the-beaten path locations and unique ways of traveling. Using their blog as a travel journal, Charles and Micki share stories of traveling the world with a sense of adventure. They seek out unique experiences, even with two young children in tow. Why The Barefoot Nomad is a Top Adventure Travel Blog: Useful tips and inspiration to take on adventure travel as a family. A full-time explorer and backpacker, Stephen travels the world and shares his adventures and tips. Why A Backpacker's Tale is a Top Adventure Travel Blog: Stephen writes about adventures (some more extreme than others) around the world and includes travel tips for visiting different regions. 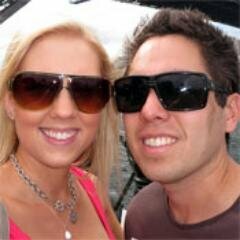 Having visited 13 countries in the last five years, Amy and Kieron definitely have the travel bug. 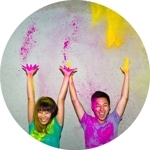 They share their adventures of making travel fun on their blog. Why Don't Ever Look Back is a Top Adventure Travel Blog: Sort by destination or travel tips to get some great activity ideas. It wasn't until he started traveling that Raphael felt like his true self; his blog shares stories from global adventures and tales of unlimited freedom. Why Journey Wonders is a Top Adventure Travel Blog: Great stories and advice for travelers exploring all areas of the world. 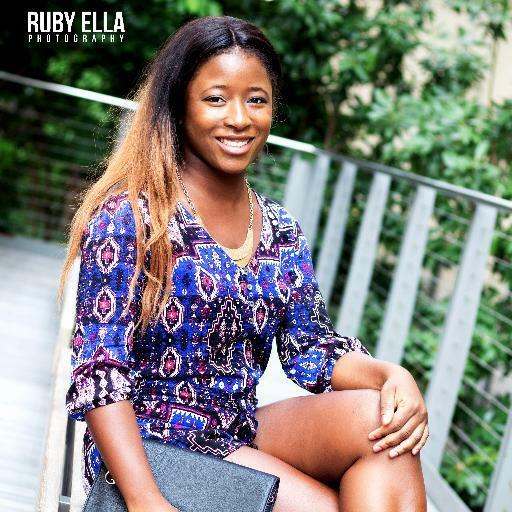 Claudia lives for the thrill of being on the road as she meets new people and experiences rich cultures; she seeks to inspire others to live a life of adventure. Why My Adventures Across the World is a Top Adventure Travel Blog: Learn about adventures and unique ways to see the world. Alesha and Jarryd have hitchhiked across Asia, lived in a van, trekked through jungles, and ridden 15,000 kilometers on motorcycles. Their blog features stories and advice for all kinds of adventurers. 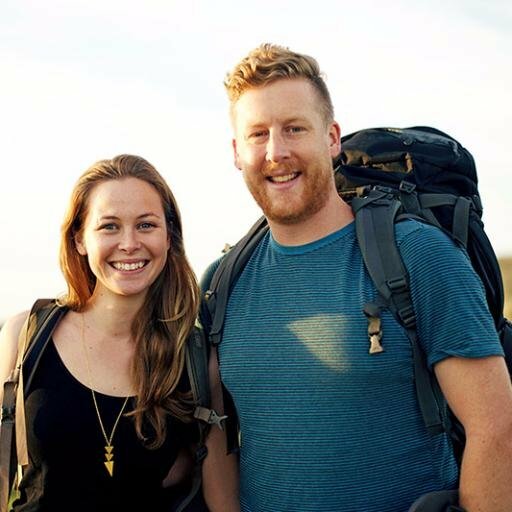 Why Nomadasaurus is a Top Adventure Travel Blog: From outdoor adventures to cultural quests, Alesha and Jarryd have stories and tips for everyone. 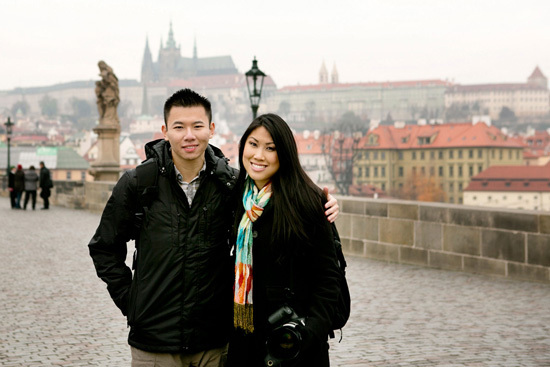 Lina and Dave caught the travel bug on their honeymoon and have been traveling since 2014. Their blog showcases their outdoor adventures around the world, from ice climbing to sand surfing. Why Divergent Travelers is a Top Adventure Travel Blog: Lina and Dave chronicle their adventures and provide tips and itineraries for unique adventures around the world. With five years of perpetual travel under her belt, Charli shares stories of seeking out the most inspiring and adventurous travel destinations around the world. Why Wanderlusters is a Top Adventure Travel Blog: Sort by destination or activity to get a variety of tips and stories for locations around the world. Rachel is a glamorous hippie who enjoys the finer things in travel as well as getting lost, looking beyond the basic tourist attractions, and doing whatever it takes to have a good time. Why Hippie in Heels is a Top Adventure Travel Blog: Rachel's blog is a great mix of luxurious and adventure travel with something for everyone. Adventure seekers Jules and Christine believe anyone can find adventure, no matter their travel style. Their blog shares tips for responsible thrills. Why Don't Forget to Move is a Top Adventure Travel Blog: Find adventures through volunteer work and responsible travel around the world. 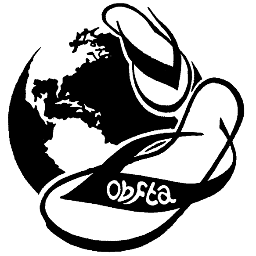 The blog serves as a chronicle for Joao Leitao's years of travel memories and his many adventures meeting people and cultures since 1999. Why Nomad Revelations is a Top Adventure Travel Blog: With tips and stories from every continent, there's definitely no shortage of content. From mountaineering to backpacking and beyond, Pinoy is an adventure junkie who likes to see the world in unusual ways; his blog shares his tips, stories, and inspiration. Why Pinoy Adventurista is a Top Adventure Travel Blog: Travel tips, restaurant reviews, adventure ideas, and travel news from all over. Helen's love of travel started with a trip to Africa, and she hasn't looked back. Her quest for adventure has taken her to amazing places like the tops of mountains, safaris, and charities around the world. Why Helen in Wonderlust is a Top Adventure Travel Blog: Helen documents her ongoing adventures through stories and pictures and hopes to inspire others to find their love of travel. Not everyone has the same adventurous spirit, but that doesn't mean every person can't find adventure every day. Global traveler Craig gives inspiration of how readers can fulfill their own adventure needs. Why Stay Adventurous is a Top Adventure Travel Blog: Beautiful pictures, stories, podcasts, and advice from destinations around the world. An avid outdoor adventurer, Heather's journey started with a cross-country bicycle trip; she has since lived and traveled around the world, finding adventure anywhere she can. Why Just a Colorado Gal is a Top Adventure Travel Blog: Heather's stories and tips focus on outdoor adventures, with a big mix of domestic and international outings. Always craving an adrenaline rush, Ed Rex backpacks around the world for some crazy adventures, like zip lining, spelunking, skydiving, or participating in cultural ceremonies. Why Rexy Edventures is a Top Adventure Travel Blog: Ed has amazing stories and also gives tips on budget luxury travel and travel for the deaf. Outdoor adventurer Michael Lanza's goal is to share tips and planning advice for outdoor quests around the country and the world, including those that can be done with families. Adventures include hiking, climbing, backpacking, paddling, and more. Why The Big Outside is a Top Adventure Travel Blog: Thorough trip plans and gear reviews will help future adventurers plan for their next trip. 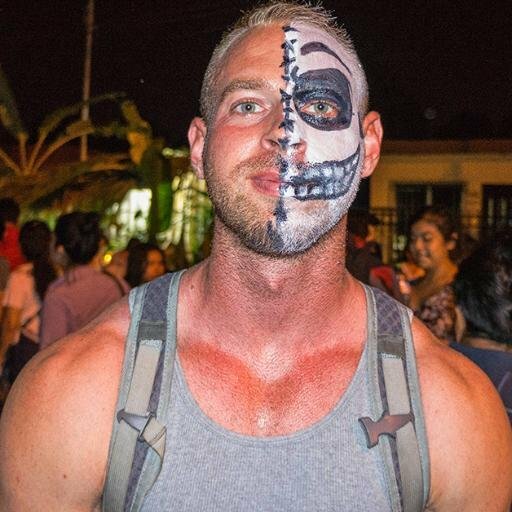 Moving to Ecuador as a child introduced Aaron to the world and gave him a serious case of wanderlust. He's always on the search for the next big adventure. Why Aaron's Worldwide Adventures is a Top Adventure Travel Blog: Aaron shares beautiful pictures and detailed stories from his adventures around the world, mostly in Asia and the Middle East. James Kelley set out to live his dream through travel and has experienced outdoor adventures, cultural experiences, and scuba diving around the world. 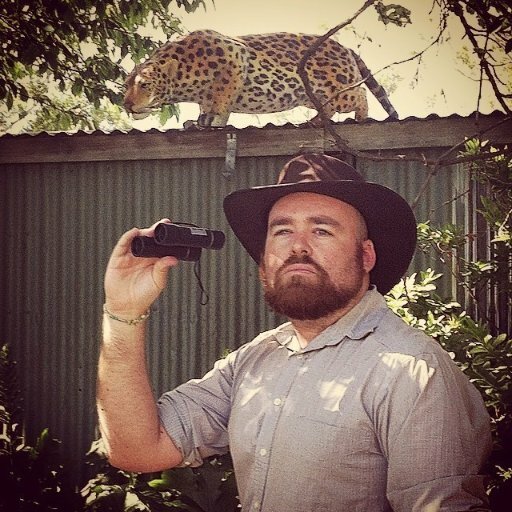 Why Escaping Abroad is a Top Adventure Travel Blog: James writes about wildlife adventures around the world and unique ways to experience culture like a local. 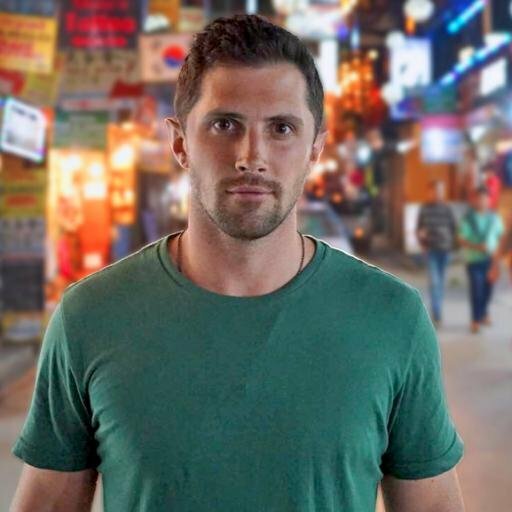 Shane Dallas seeks out travel destinations with unique cultural or historical significance, immersing himself in the culture and lifestyle for rich experiences and amazing stories. Why The Travel Camel is a Top Adventure Travel Blog: Get inspired to visit far-flung places in the world where many people have never been. Gemma and Craig have touched down in Scotland after a 17 month sabbatical to travel the Americas and Europe. Although the career break is over, the adventure has just begun! They look for fun wherever they go, from outdoor adventures to festivals and parties. Next up: Iceland. Why Two Scots Abroad is a Top Adventure Travel Blog: Detailed itineraries for a few weeks in each location, as well as general travel tips to make adventure fun and exciting. After working in the corporate world, Will caught the travel bug and hasn't looked back. 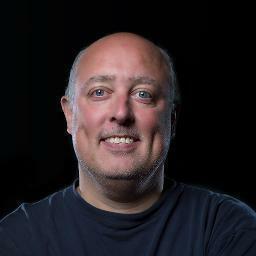 He blogs about adventurous destinations and gives reviews of epic activities around the world. Why Going Awesome Places is a Top Adventure Travel Blog: Will's reviews cover a wide range of locations and activities from the jungle to the sea, plus the gear you'll need to do it all. Aussie and American duo Jack and Jenn have celebrated their long-distance relationship with global travel adventures. They'll try anything and are always up for adventure. Why Who Needs Maps is a Top Adventure Travel Blog: Get great stories, destinations, and tips for traveling, especially around Southeast Asia. By plane, skis, zip line, and more, David Webb uses all sorts of transportation to get around the world for an adventure and some great photos. Why Across and Abroad is a Top Adventure Travel Blog: Stunning pictures highlight the stories of extreme travel and unique experiences. Irish couple Brian and Noelle spent 2 and a half years in Korea before deciding to travel the world. They travel like locals, look for adventures, and get outside as much as possible. Why Wandering On is a Top Adventure Travel Blog: Get inspiration and practical destination guides for unique locations. Originally from the UK, Chris is a surfer who has been bouncing around the world since 2009 looking for new adventures, like hiking, surfing, going on safari, and more. Why Backpacker Banter is a Top Adventure Travel Blog: Chris's fun-loving attitude is apparent in his posts about all things travel related and his stories of global adventures. 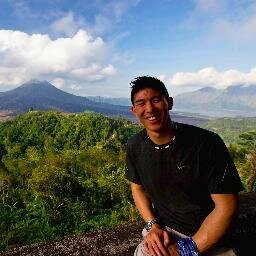 He also shares great pictures on Instagram at @backpackerbanter and budgeting tips. Growing up moving around the world gave Jonny a taste for travel. He has been backpacking the globe since 1997, using his blog to share his adventures and wild travel tips. Why Backpackingman is a Top Adventure Travel Blog: Detailed posts about destinations and how to experience a location and its culture. 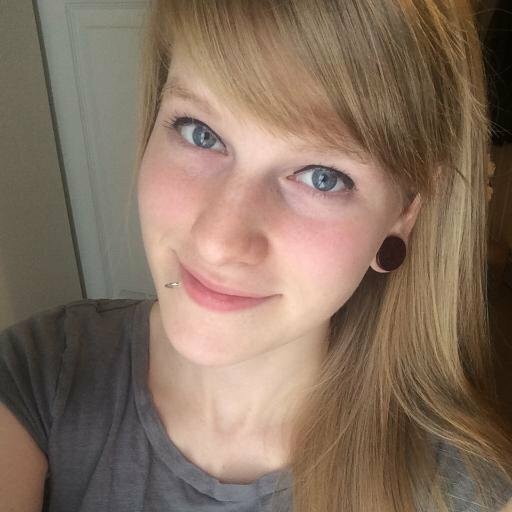 Amanda is a journalist who aims to live a life of adventure. Her blog shares stories from her travels, tips, and reviews. Why Adventures All Around is a Top Adventure Travel Blog: Amanda shares honest opinions about hotels, destinations, and airlines, as well as how to fit adventure into your trip no matter where you are in the world. Follow her on Twitter, Instagram and Snapchat at @TheAmandaWoods. Jessica's global travel started when she taught English in other countries, but it has grown into a passion for culture and adventures. 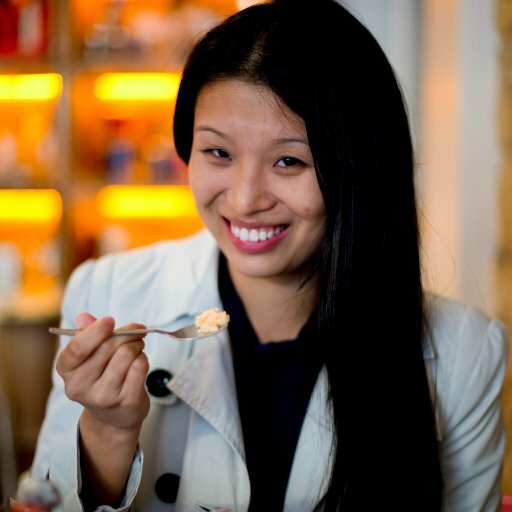 From couchsurfing solo to eating exotic foods, she does it all. Why Missadventure Travel is a Top Adventure Travel Blog: Follow along as Jessica does things that scare her and provides tips of what to do and what not to do in a global adventure. 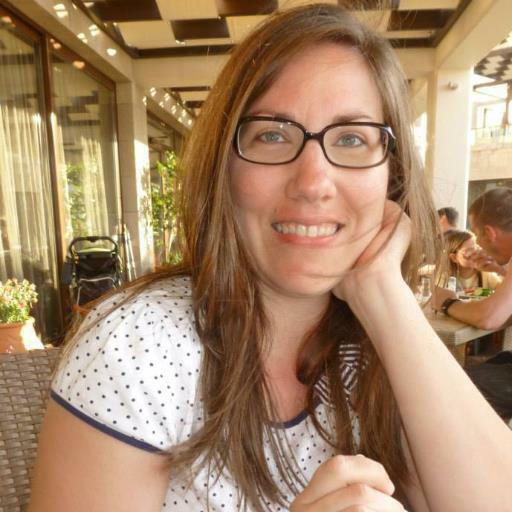 Liesbeth has a passion for travel and loves to write about the people she meets and the misadventures she encounters. Why Lili's Travel Plans is a Top Adventure Travel Blog: Get inspired to go outside your comfort zone as Liesbeth shares stories and destinations. Read: City Guide: How to Spend 2.5 Days in Washington, D.C.
Adventurous soul Nicola has an appetite for travel and adrenaline, and finds adventure in locations off the beaten path. Why Polkadot Passport is a Top Adventure Travel Blog: Nicola provides extensive travel tips and must-see attractions and adventures. A natural wanderer, Christine's curious nature has taken her around the world to find joy everywhere and share her adventures and mishaps along the way. 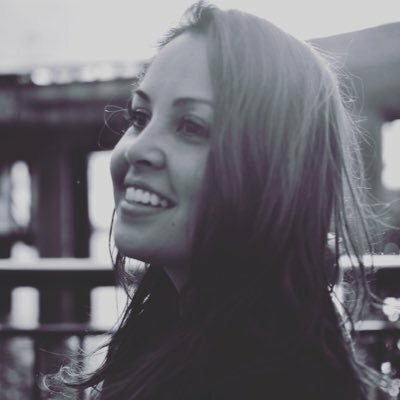 She is also a journalist and feature both cultural and alternative content on her site. Why The Traveloguer is a Top Adventure Travel Blog: Christine shares tips for working abroad and traveling like a local. Amy and Andrew left the UK in 2009 with no plans for the future except to see the world. Their blog chronicles their amazing journey as they see the world and experience the unexpected. 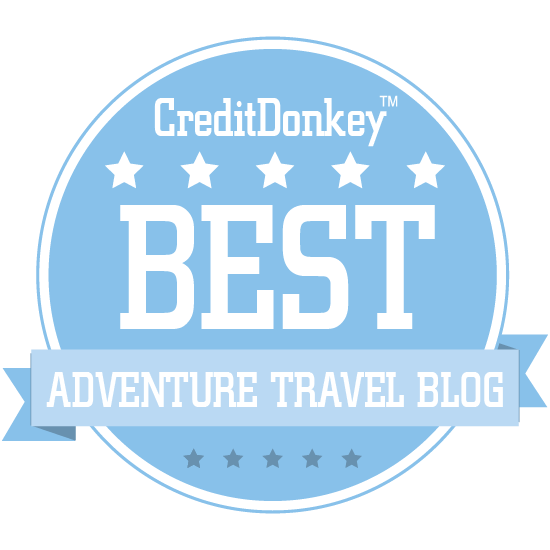 Why Our Big Fat Travel Adventure is a Top Adventure Travel Blog: The posts are a great combination of travel information, honest stories, and useful adventure tips. With a focus on experiential travel, Dave aims to get a true feel of what each place he visits is like. He has gone around the world for cultural celebrations, authentic food, grand adventures, and more. Why Dave's Travel Corner is a Top Adventure Travel Blog: A fantastic mixture of travel stories, itineraries, and great tips to make your next trip a success. Based on her global travels, Miriam aims to inspire others to travel and live the life of their dreams through the stories and tips on her blog. Why Adventurous Miriam is a Top Adventure Travel Blog: Miriam shares travel tips and in-depth looks at the cultures she experiences around the world. Tom aims to travel to places off the beaten path that usually aren't visited by tourists. 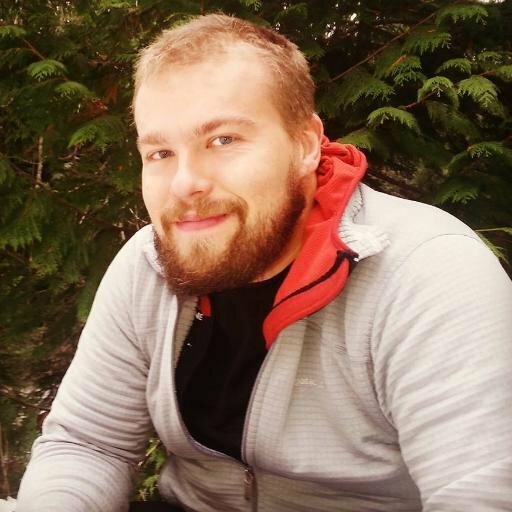 He blogs about adventures that are often found in unique places. Why Adventurous Travels is a Top Adventure Travel Blog: Learn about places that aren't typical tourist traps. Amanda loves getting lost in unpredictable travel and has had amazing experiences around the world as she looks for her next adventure. Why A Dangerous Business is a Top Adventure Travel Blog: Great tips and stories for adventure seekers at home or abroad. Ryan chose to turn his life into an adventure story when he sold everything and lived out of his truck as he drove across the U.S. searching for great outdoor adventures. He has since ventured to South and Central America to continue his quest. Why Desk to Dirtbag is a Top Adventure Travel Blog: Ryan gives great tips for adventures via car, from road trips to truck camping, plus what to see, pack, and do in destinations around North and South America. Chris has a love for traveling to places most other people wouldn't consider visiting. He has hiked, safaried, and adventured through unique regions around the world. 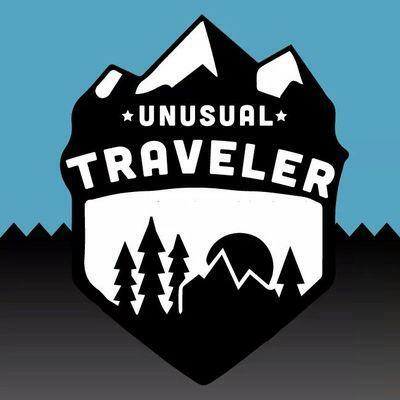 Why Unusual Traveler is a Top Adventure Travel Blog: An eye-opening blog into diverse corners of the world that are often overlooked. 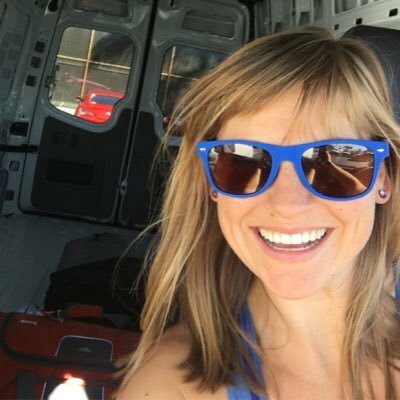 In an effort to dispel the many reasons people have for not getting outside, Kristen shares inspiration and stories about her rafting, biking, and hiking adventures around the country. Why Bearfoot Theory is a Top Adventure Travel Blog: Get great tips and be inspired to adventure outside, no matter your circumstances. JD has more than 20 years' experience as a video producer and photographer; now he shares his amazing travel adventures with beautiful photographs. 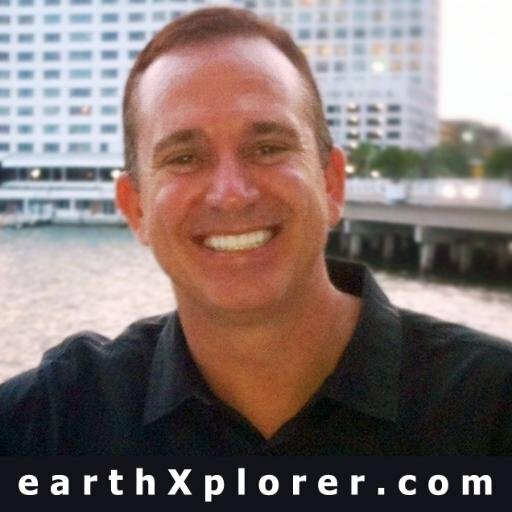 Why EarthXplorer is a Top Adventure Travel Blog: Stunning photos of natural and man-made wonders around the world. Derek looks for the unexpected as he travels, which he started doing with a bicycle ride across Africa. He blogs about outdoor adventures around the globe. Derek is also an adventure tour leader through Africa. Why No Hanging Around is a Top Adventure Travel Blog: The blog gives great tips for adventure travel, especially around Africa. Mark and Miranda have climbed mountains, gone on safari, hiked in the jungle, jumped off waterfalls, and so much more (including dark tourism) on their adventurous global travels. Why The Common Wanderer is a Top Adventure Travel Blog: Mark and Miranda are a common Aussie couple who have chosen to wander. The Common Wanderer is a great resource for unique and extreme travel experiences, plus insights into dark tourism. 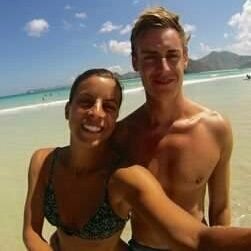 Patrick and Lucy, full-time students with jobs and responsibilities, try to fit in as much rich travel as they can, meeting locals and getting unique cultural experiences. Why Travel Textbook is a Top Adventure Travel Blog: Accessible advice for all kinds of adventurers, plus tips on backpacking and how to see the world like a local. Always looking for new cultures to experience and places to visit, the blog focuses on a gal chasing adventures of all kinds around the world. Why Adventure Travel Gal is a Top Adventure Travel Blog: Get posts from on-the-road and great tips for all kinds of adventures. Read: Swimming with the Manatees! Professional photographer and journalist Dawn Kealing tries to immerse herself in every culture she visits - the result is a rich travel and adventure experience. Why Life, Love and Adventure is a Top Adventure Travel Blog: Dawn shares tips on adventures and travel destinations, as well as inspiration to get out there and see the world. Read: Taking to the Skies with Guardian Aerospace, Prince George, B.C. Paulina is an all-around adventurer who finds the best places to snowboard, hike, climb, and more around the world, sharing her stories and adventurous stories on the blog. Why Little Grunts is a Top Adventure Travel Blog: The blog provides stories, tips, and honest gear reviews to get you prepared for a big adventure. Married couple Greg and Kim plan adventures of all sizes, both domestically and abroad. Their blog shares their exploits from life on the road. Why Cool Adventures is a Top Adventure Travel Blog: Greg and Kim show that adventures don't have to be huge - there's always something great to experience and adventure in your own backyard or across the globe. After a near-death experience on the back of a motorcycle in India, Rachel realized life is short, fueling her desire for adventure and to share her stories with others. Why Meander the World is a Top Adventure Travel Blog: Rachel's amazing travel stories will inspire you to find adventure around the world. The youngest American to visit every country, Lee Abbamonte has had amazing adventures like climbing, bungee jumping, rafting, and being part of history and wars. 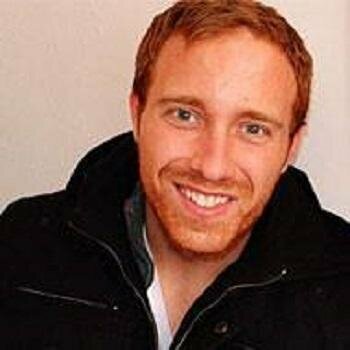 Why Lee Abbamonte is a Top Adventure Travel Blog: With great details and tips, Lee provides advice for a wide variety of locations and adventures. Nic and Paul like to travel off the beaten path and see things through a different point of view; they've had unbelievable adventures in dark tourism. 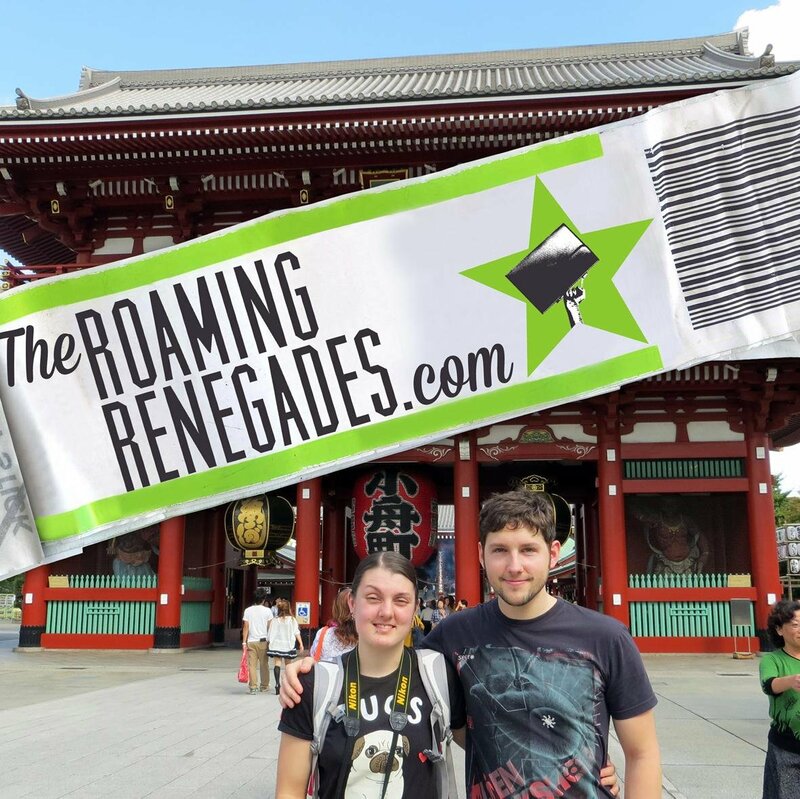 Why The Roaming Renegades is a Top Adventure Travel Blog: Read amazing stories about pushing boundaries and traveling with a fresh perspective. Ken chases adventures everywhere he goes, and learns about travel as he goes. He also owns a project called #thetravelingjournalproject. Why Ken Surat is a Top Adventure Travel Blog: Learn alongside Ken as he experiences new cultural, food, and outdoor adventures on his travels. Renate has lived and worked as tour guide in multiple countries, which helps her look for adventure every day. She shares stories from getting outdoors and meeting the locals. Why That Wanderlust is a Top Adventure Travel Blog: Learn from locals to get the best adventures everywhere in the world. Henry combines his three passions: photography, travel, and wanting to help others as he adventures to unique locations around the world to photograph the people, places, and experiences, and share the stories with his audience. Why Only a Day Away is a Top Adventure Travel Blog: Inspiring and helping you to plan your next adventure, private tour, small group, or luxury travel trip with an adventure travel website and podcast. Belgian-born Bram has hiked, cycled, and explored around the world and finds ways to explore and photograph the lesser-seen parts of the globe. Why Travel. Experience. Live. is a Top Adventure Travel Blog: Great travel, hiking, and photography tips for ways to see the world from a new angle. Jonathan from England and Kach from the Philippines started a blog to document their worldwide travels that feature a unique blend of luxury and adventure. Why Two Monkeys Travel Group is a Top Adventure Travel Blog: Get inspired by beautiful locations and unique things to do in each place. Justin is a long-term traveler trying to visit the 100 best places to dive around the world, though he does experience lots of other exciting things as well. 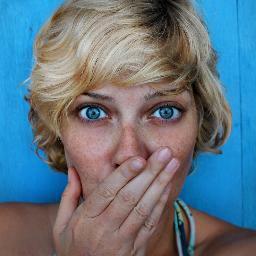 Why True Nomads is a Top Adventure Travel Blog: Follow along for amazing diving adventures and tips. 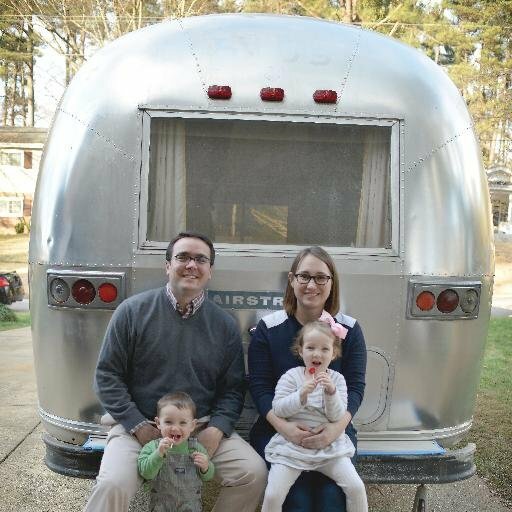 With their two young children, Katie and Mark Kelley set out in an Airstream trailer to visit 52 State and National Parks in 52 weeks, proving even families can find adventures. Why Adventure Possible is a Top Adventure Travel Blog: Great tips for adventures around the U.S., whether you're traveling with kids or on your own. Swimming with sharks, participating in a canoe marathon, and zip lining are just a few of Sebastian's extreme adventures around the world. He shares his stories and passion on his blog. Why Off the Path is a Top Adventure Travel Blog: Great adventure ideas and tips, plus general travel tips to make the most of your adventure. Adam Nutting set out to hike the Appalachian Trail in 2013 and still blogs about his hiking experiences, outdoor adventures, and gear reviews for trails around the world. Why Hiking the Trail is a Top Adventure Travel Blog: Get inspired with new hiking and outdoor destinations, plus get the best tips on what gear you should bring with you. Sonja and Jerry moved abroad from Slovenia to Switzerland. They travel part-time from their home in Switzerland and strive for healthy, active adventures wherever they go. Why My Hammock Time is a Top Adventure Travel Blog: The blog provides detailed itineraries and stories about biking, hiking, skydiving, and other outdoor quests. Natasha and Cameron travel to live life to the fullest, experience new cultures, and spontaneously live around the world. Why The World Pursuit is a Top Adventure Travel Blog: Great tips on the gear you'll need and tips for destinations and global road trips. 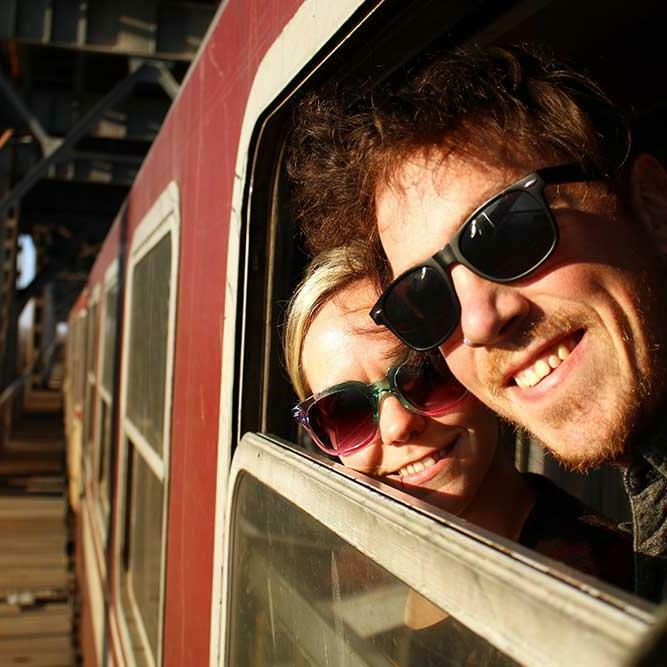 Backpacking couple Dom and Claire love to experience cultures and find hidden gems as they travel the world. Why Flashpacking Duo is a Top Adventure Travel Blog: Destinations and attractions that are off the beaten track, as well as tips and tricks for traveling internationally. Always looking for an adventure, Beth has couchsurfed across the U.S. and taken amazing trips around the world, including to Africa and the Artic. Why Adventures of a Couchsurfer is a Top Adventure Travel Blog: Stunning pictures are a great match for stories of travel by unusual means. Nomad Veronica spends half the year traveling the world. From the oceans to the skies, her extreme adventures have shown her a different side of the world. 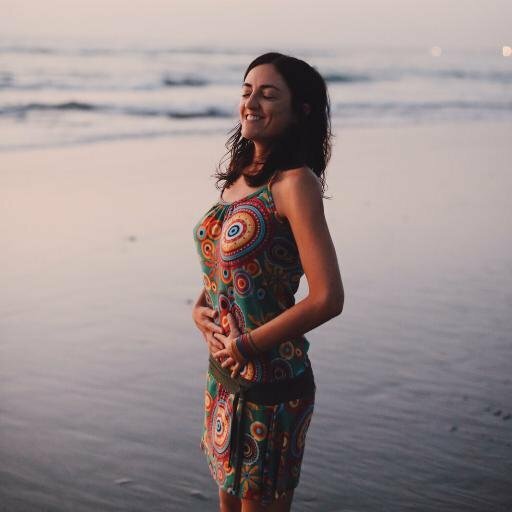 Why Confessions of a Nomad is a Top Adventure Travel Blog: Veronica highlights great food, cultural events, and adventures around the world. After leaving his job in 2009, Rob Fitzsimmons set out to travel and find unique experiences around the globe, including all kinds of extreme tourism. Why Adventure Rob is a Top Adventure Travel Blog: Get the inside scoop of adventures in unique countries and regions of the world. Tom and Anna, who met while backpacking in Vietnam, are now on the hunt for the best adventures around the world, from skydiving to snorkeling to everything in between. Why Adventure in You is a Top Adventure Travel Blog: Get reviews of adventures around the world, as well as travel tips and stories. They are also launching a lifestyle app called Getstoked. On your next adventure, make sure to use a credit card with no foreign transaction fees. Share on Facebook "Best Adventure Travel Blogs"